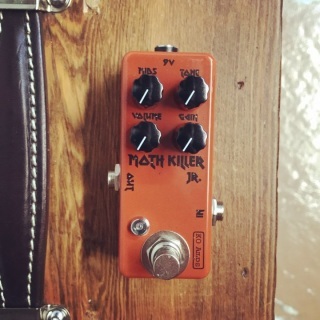 The Moth Killer is a dirt pedal based on the Marshall Shredmaster. I built one for some friends doing a complete performance of OK Computer and had to make it a regular offering. 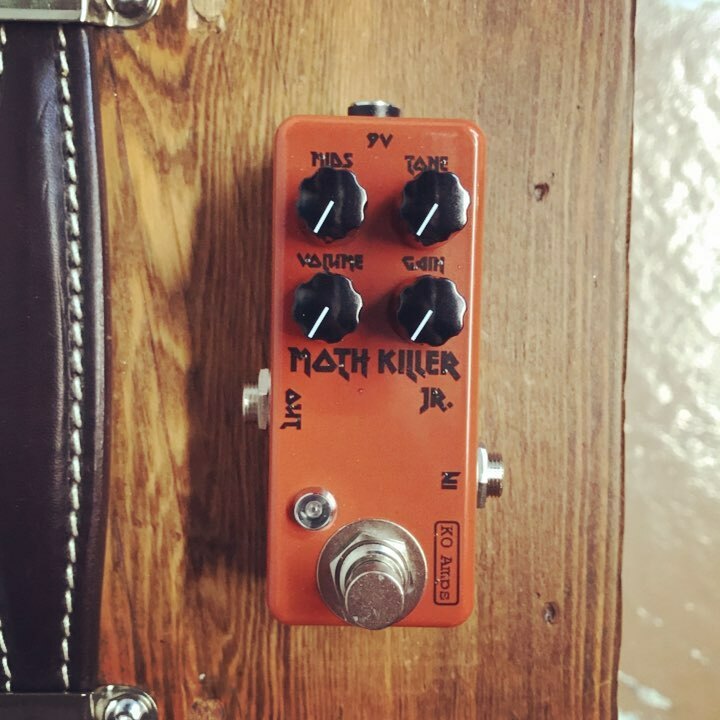 Full sized version has volume, gain, treble, bass and contour knobs plus an added bright switch to go from stock shredmaster to a more versatile bright setting. The Jr. version is exactly the same with hardwired bass and bright controls (bass halfway up, bright on). The contour knob is this pedals' unique feature, letting you go from a nice fat midrangy tone to full on scooped metal mids. 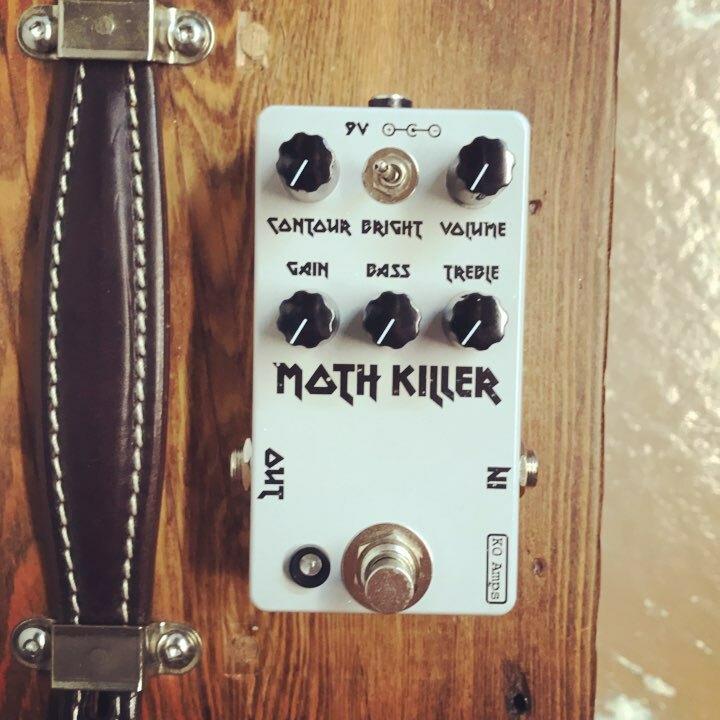 Pedal name came from a lyric in Fitter Happier. True bypass with polarity protection, like all my pedals runs off 9v adapter only (boss style center negative 2.1mm).